Discover the distinctive delights of a selection of major Spain cities on a 7-day tour Andalucian and Costa del Sol from Madrid. 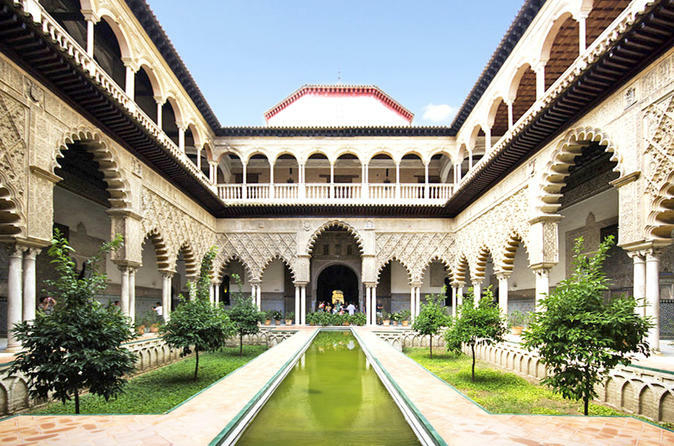 With a professional guide, see the UNESCO World Heritage-listed sites harbored by vibrant cities such as Seville, Cordoba, Ronda, Marbella, Granada and Toledo. Delve into the rich cultural traditions of each city, and pleasure your palate with a selection of authentic Mediterranean meals. Luxuriate in 4-star accommodation for 6 nights, and enjoy transportation by luxury coach throughout the excursion. Escorted tour of multi day. Departure from our bus terminal at 8:00 a.m. southwards through the land of La Mancha to Andalucia. Arrival to Cordoba. City sightseeing tour, visiting the great Mosque, once the spiritual center of the Islamic world, with a Gothic Cathedral built inside and the Jewish Quarter. After the visit continue to Sevilla. Dinner and accommodations. throughout its narrow streets and alleys. Continuation back to Madrid. Arrival and end of our services.